Mary McLaughlin pumps gas at the Shell station on the corner of Union Street and Griffin street on Tuesday, Jan. 8, 2013. "I know that more ethanol is not supposed to be good for your car. So I would be concerned it would ruin my car more," said McLaughlin. The federal requirement to blend ethanol with gasoline is causing a transfer of wealth from New England states like New Hampshire into corn-growing states in the Midwest, according to a study released on Monday by a group of business and environmental groups. “A High Price to Pay: The Hidden Costs of Corn-Ethanol Mandates on New England” is part of an anti-ethanol PR blitz that has included saturation television and radio advertising in the region, as the EPA approaches a Nov. 30 deadline for deciding the future of the controversial corn-based fuel. Ethanol was introduced to replace the highly toxic MBTE as a gasoline additive in 2005, in the hope that it would reduce carbon emissions and ease our reliance on imported oil. If 10 percent of the gasoline in your vehicle is ethanol, theoretically that’s 10 percent fewer gallons of imported oil. But it hasn’t worked out that way, according to opponents of the ethanol mandate. It’s obsolete, they say, because the United States is now a net exporter of petroleum products, and any environmental benefit from lower carbon emissions on the highways is offset by the carbon generated in the farming and processing of all that corn. “We’ve got to just acknowledge that the corn-based mandate is a well-intended flop,” said Rep. Peter Welch, D-Vt. It’s also proven very costly to New Hampshire, according to the Center for Regulatory Solutions, which released the anti-ethanol report. 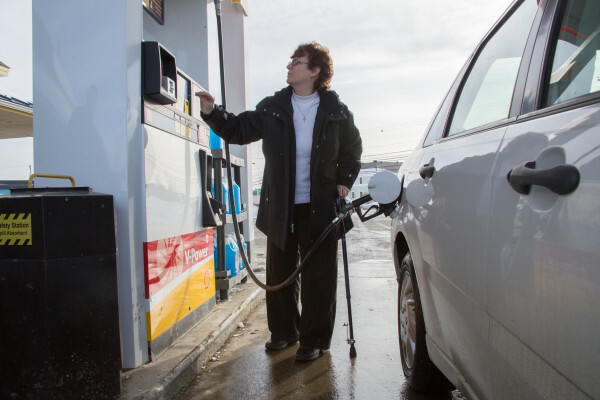 “Increasingly aggressive ethanol mandates are hurting New England’s economy, particularly small businesses, and driving up transportation costs for millions of people who live in Massachusetts, Connecticut, Vermont, Rhode Island, Maine and New Hampshire,” the report states. Since ethanol provides about two-thirds of the energy per gallon compared to gasoline, New Englanders are getting one-third less mileage for each gallon of ethanol they consume, without any of the corresponding economic benefits seen in the corn-producing states, according to the Center for Regulatory Solutions. The report estimates that New Hampshire motorists spent $560 million in additional fuel costs over the past decade, or $5.6 billion across the six states, because of ethanol’s lower efficiency. With all that corn going to produce ethanol, the price of feed for livestock and meat prices have been adversely affected as well. “Higher fuel prices, more expensive agricultural and farming inputs, and upward pressure on food prices have negatively affected New England’s economy while benefiting the ethanol industry in the handful of corn states,” the report states. Proponents argue that the mandate continues to create jobs, spur economic growth and reduce greenhouse gases. Both sides are pushing their points in New Hampshire during the first-in-the-nation Primary. Lagreca cited a poll showing that nearly half of New Hampshire voters, 42 percent, said they would be less likely to support a presidential candidate who supported the ethanol mandate. Ethanol opponents are trying to leverage New Hampshire opposition to offset strong support for the program in Iowa, the first presidential caucus state. Public comments from New Hampshire residents on the EPA rulemaking website regarding the upcoming ethanol decision include statements by state representatives, business owners, boaters and motorcycle enthusiasts, all urging an end to the mandate, or at least no increase in the level of corn-based ethanol required. Members of the state’s congressional delegation voiced similar sentiments. “Sen. [Kelly] Ayotte supports bipartisan efforts to repeal the corn ethanol mandate, which drives up the prices of food, feed and gas,” said spokesman Lauren Zelt.